BLACK CAT BLUE SEA AWARD!! Yes! I feel great and honoured. I was nominated by wwwpalfitness for this award and I am accepting this award. I feel so honoured being nominated for this award. Hopefully nominees will accept or at least be noticed by my followers. 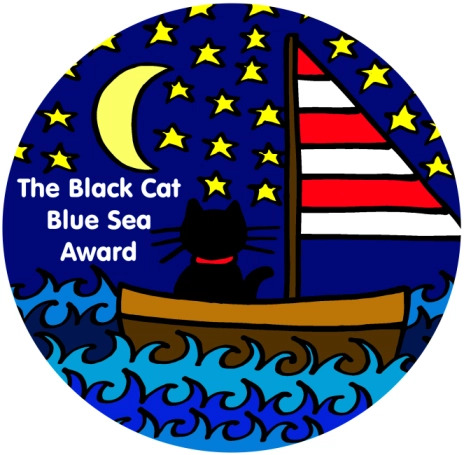 BASICALLY, what is black cat blue sea award? If anybody is not aware of this award, let me tell you about this award. This award is for bloggers who strive to write for everybody, and no matter how many views they get, make an impact on the reader. This award is an impression of gratitude to the nominee. It should be awarded to everybody that you choose deserves it and it doesn’t mean that they must have hundreds of followers and likes. OKAY I’ll TELL YOU THE RULES. • anybody nominated can nominate 8 others bloggers. • if any of the questions are offensive of the nominee simply doesn’t want to answer the nominee does not have to answer them to earn the award. 1. What are your all time five favourite quotes. 2. If you had a different name would you be a different person. 3. What is your favourite music Or song please give me a link would love to listen to your favorites. – you must to be the change you wish to see the world. – believe those who are seeking the truth doubt those who find it. 2. No definitely not. My name does not change the person I m .
3.” The heart wants what it wants” and some Hindi songs. Once again thank you wwwpalfitness for nominating me for this award. Thank u so much for nominating me! !